If you live nearly anywhere in North America, Europe, or Asia, it’s no news that December 2009 and early January 2010 were cold. This image illustrates how cold December was compared to the average of temperatures recorded in December between 2000 and 2008. 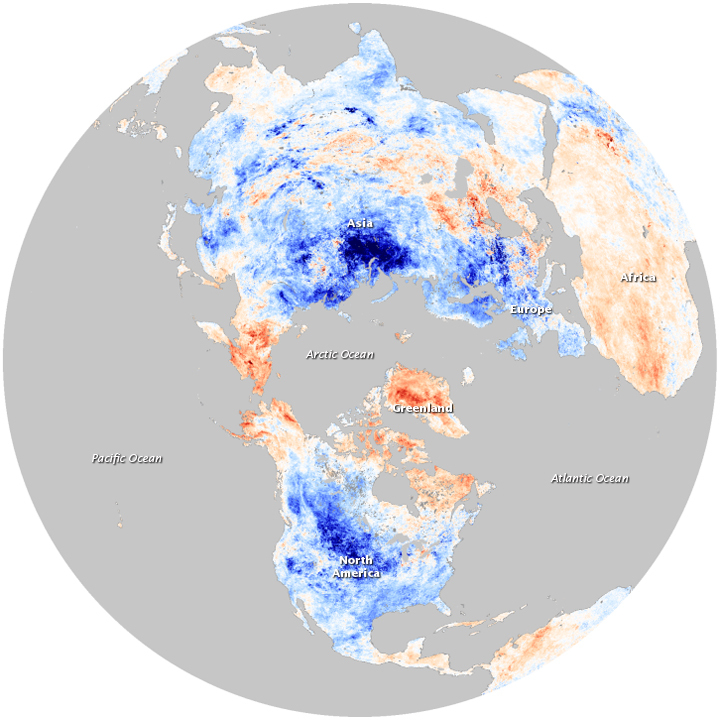 Blue points to colder than average land surface temperatures, while red indicates warmer temperatures. 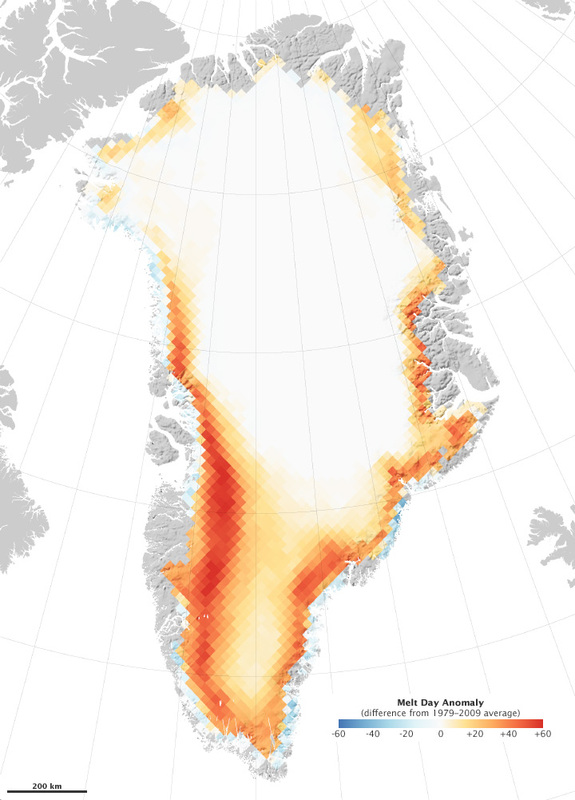 Much of the Northern Hemisphere experienced cold land surface temperatures, but the Arctic was exceptionally warm. This weather pattern is a tale-tell sign of the Arctic Oscillation. The Arctic Oscillation is a climate pattern that influences winter weather in the Northern Hemisphere. It is defined by the pressure difference between air at mid-latitudes (around 45 degrees North, about the latitude of Montreal, Canada or Bordeaux, France) and air over the Arctic. A low-pressure air mass dominates the Arctic, while high pressure systems sit over the mid-latitudes. The strength of the high- and low-pressure systems oscillates. When the systems are weaker than normal, the pressure difference between the Arctic and mid-latitudes decreases, allowing chilly Arctic air to slide south while warmer air creeps north. A weaker-than-normal Arctic Oscillation is said to be negative. When high and low pressure systems are strong, the Arctic Oscillation is positive. Like plants, fire activity grows and wanes in seasonal patterns. Globally, fires peak in July, August, and September, when summer’s drying heat makes vegetation flammable and lightning ignites the landscape. 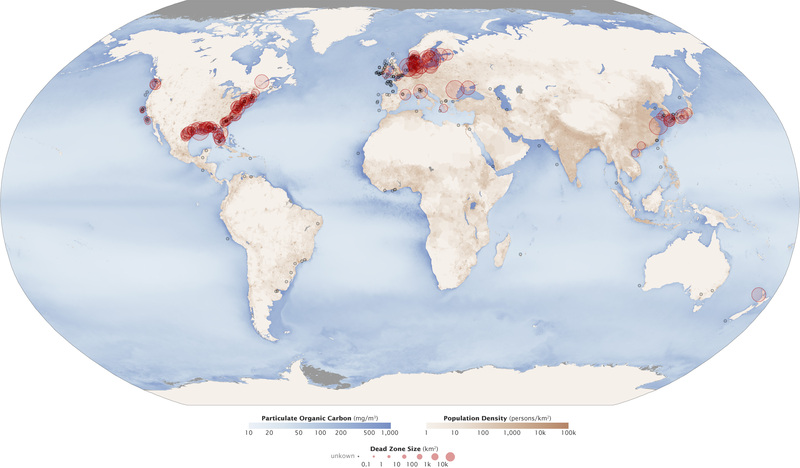 In addition, summer is the time when many crops are harvested and fields are burned in the Northern Hemisphere, where most of Earth’s continents are. On any given day in July, August, or September an estimated 6,000 fires burn across the world. February is the slowest month of the year, with an estimated 3,000 fires per day. To watch fires move across the globe throughout the year, see Fire in the Global Maps section of the Earth Observatory. 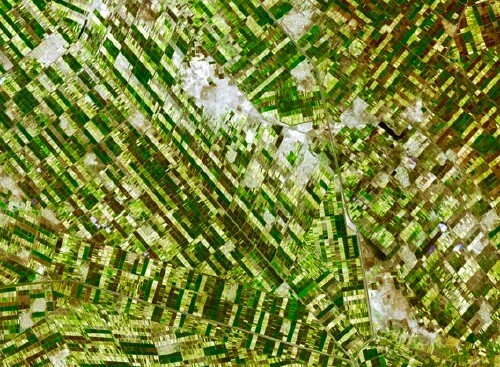 The contrast between the two months is shown in this pair of images made from data collected by the Moderate Resolution Imaging Spectroradiometer (MODIS) on NASA’s Terra satellite. 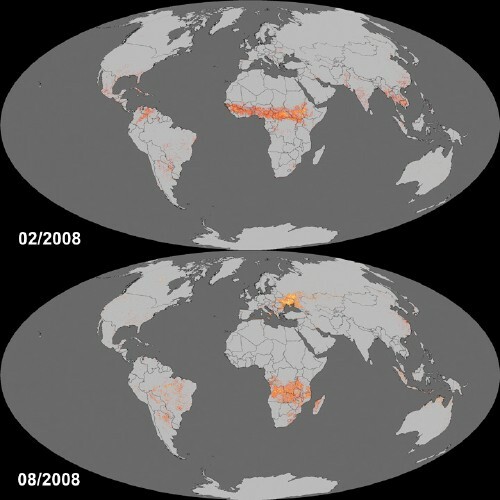 The top image shows all of the fires detected during August 2008, while the lower image shows February 2008. Dense fire concentrations are yellow, while more scattered fires are red. February is clearly the burning season in the tropics. A solid band of red stretches across the Sahel of Africa, and hundreds fires were burning in northern South America, Central America, and southeast Asia. 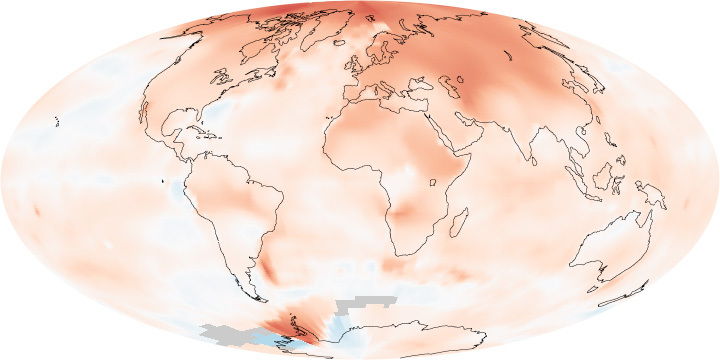 In August, the fire regions shifted into more temperate regions north and south of the Equator. Intense agricultural fires burn in south-central Europe and in southern Africa. NASA Earth Observatory shows agricultural development and divisions on reclaimed land in the man-made IJsselmeer in the Netherlands. Over time the heterogenity of the newly created land shown in the image as fields are divided and land uses have diversified. NASA’s Landsat satellites captured repeated images of IJsselmeer, and recorded changes on one such polder, shown in the top-middle part of each image. 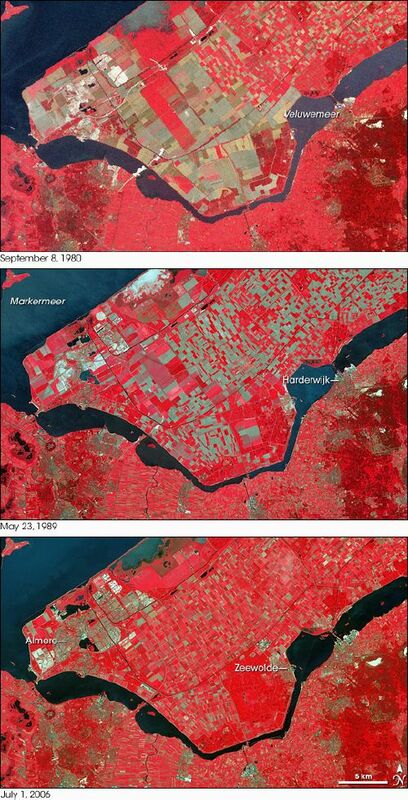 Landsat 2 took the top picture on September 8, 1980. Landsat 5 took the middle picture on May 23, 1989. 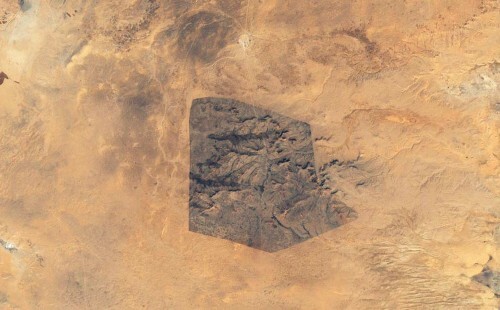 Landsat 7 captured the bottom image on July 1, 2006. In these false-color images, red indicates vegetation, and the brighter the red, the more robust the plant life. Water appears navy blue. Pavement and bare soil range in color from pale blue to gray-green. Yale Environment 360 is an online magazine offering opinion, analysis, reporting and debate on global environmental issues published by the Yale School of Forestry & Environmental Studies. 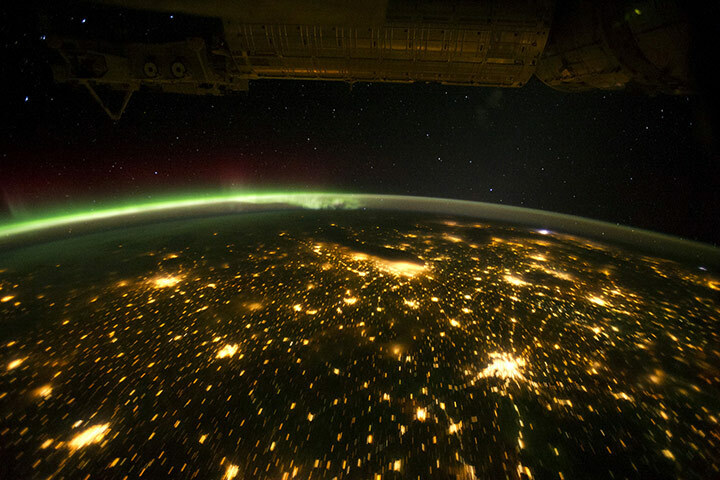 NASA’s Earth Observatory describes the advantages and difficulties of observing the world’s cities at night. Americans spend an estimated forty billion dollars each year on grass—and to the academic discipline of turf management, degrees in which can now be obtained from, among other schools, the University of Massachusetts and Ohio State. The lawn has become so much a part of the suburban landscape that it is difficult to see it as something that had to be invented. … the American lawn now represents a serious civic problem. That the space devoted to it continues to grow—and that more and more water and chemicals and fertilizer are devoted to its upkeep—doesn’t prove that we care so much as that we are careless.